Dave Douglas is a prolific trumpeter, composer and educator from New York City, whose many accolades include a Guggenheim Fellowship, an Aaron Copland award and two Grammy nominations. He has developed work for many unique ensembles and has released 38 albums as a leader. He owns and operates an independent record label, Greenleaf Music. 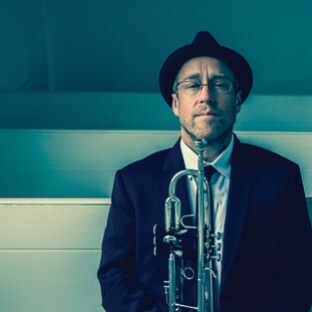 Dave Douglas is an American (born in Montclair, New Jersey March 24th, 1963) jazz trumpeter and composer whose music is notable for drawing on many non-jazz musical styles, including classical music, European folk music and klezmer. He has been a member of the experimental big band Orange Then Blue. Douglas is currently the director of the Festival of New Trumpet Music, which is held annually in New York City. Since 1993, Douglas has recorded more than twenty albums as a bandleader. He has also performed and recorded with dozens of musicians, perhaps most notably with various John Zorn ensembles. With his own groups, Douglas has pioneered new settings for the trumpet in jazz and expanded concepts of what the music (and music in general) can be. In more recent years he has explored collaborations involving modern dance, spoken word/poetry, and film. Douglas grew up in the New York City area and attended Phillips Exeter Academy, a private high school in New Hampshire. He discovered jazz while on an abroad program in Spain. After graduating from high school in 1981, he studied at the Berklee School of Music and New England Conservatory, both located in Boston, Mass. In 1984, Douglas moved to New York to study at New York University (NYU) and finish a degree in music. This is the year his daughter, Mia Douglas, was born. Meanwhile he played with a variety of ensembles and came to the attention of the famous jazz pianist, composer, and bandleader Horace Silver. Douglas played with Silver from 1987 to 1990. In 1993, Douglas began performing with John Zorn in his Masada quartet, which blended the influences of saxophonist/composer Ornette Coleman, and Jewish folk musics. The band became one of Zorn's most long-standing and popular ensembles, and brought Douglas wider attention. Since the mid 90s, Douglas has led a variety of groups simultaneously. His first album as a leader, Parallel Worlds (1993), featured the composer backed by a string trio performing his own compositions and music by Anton Webern, Kurt Weill and Igor Stravinsky. Meanwhile Douglas formed two new groups, the Tiny Bell Trio, and the Dave Douglas Sextet. The former performs what Douglas calls "Balkan improvisations." It is unusual in its instrumentation (trumpet, guitar, drums) and blends Eastern European folk influences with jazz. The Sextet features the classic instrumentation of trumpet, tenor sax, trombone, piano, bass, and drums. This group focuses on the music of great jazz composers and Douglas pieces inspired by those musicians. Their first release was a tribute to the late trumpeter Booker Little. In 1996, Douglas co-founded Sanctuary with Cuong Vu, Anthony Coleman, and other musicians of the New York downtown scene of the time. The group involved sampling and DJ improvisations in addition to jazz. In 1997, Douglas started a quartet featuring trumpet, violin, accordion, and bass. The group would eventually be called Charms of the Night Sky after the title of its first recording. Eastern European and Jewish folk musics as well as jazz are strong influences on their music, which is generally mellow and relaxed. Their debut includes a number of tracks with Douglas and accordionist Guy Klucevsek performing as a duo. Also in 1997, Douglas founded another quartet. 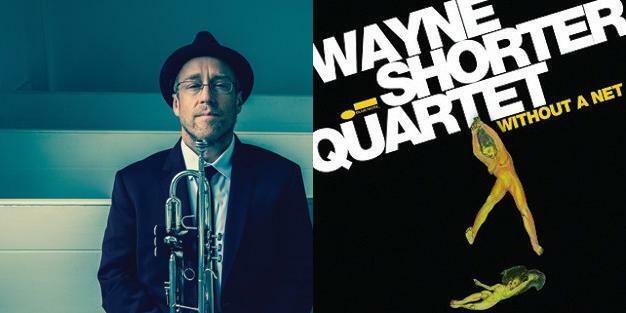 The Dave Douglas Quartet performs wild, freewheeling music, influenced by the bands of Ornette Coleman and John Zorn. In 2000, Douglas released Soul on Soul, a tribute to composer and pianist Mary Lou Williams featuring original arrangements of her music for the Sextet and new pieces inspired by her work. The album received great praise, and Douglas won the Down Beat critics polls for trumpet, composer, and album of the year in 2001. Douglas also released albums featuring Charms of the Night Sky and the Dave Douglas Quartet in the same year. In the early years of the decade, Douglas worked often with the Trisha Brown Dance Company. El Trilogy, an extended musical work accompanying modern dance, was performed from 2000-2001. Witness, an ambitious nine-part suite, was released in 2001. It features a band made up of trumpet, sax, two electric pianos, electronic percussion, bass, and drums. Douglas' music had always been informed by his political concerns, but this album was his most ambitious attempt to give them musical form, often by celebrating his political and cultural heroes through dedications and track titles. The album includes a 20 minute track entitled "Mahfouz" in which gravel-voiced singer Tom Waits reads an excerpt from the works of Egyptian writer Naguib Mahfouz, as well as pieces dedicated to Edward Said and Taslima Nasrin. More recently, Douglas founded the Dave Douglas New Quintet and Nomad. The Quintet is a trumpet and tenor sax-led group but with Fender Rhodes electric piano. Their first album, The Infinite (2001) featured Douglas originals and pieces by or inspired by popular musicians Rufus Wainwright and Thom Yorke. This was followed up by 2004's Strange Liberation by the same group with special guest Bill Frisell on guitar. Formed in 2003, Nomad is made up of trumpet, clarinet, cello, tuba, and drums. With this band, Douglas performed his suite Mountain Passages, commissioned for the Italian Sound of the Dolomites Festival. The suite features a variety of different influences including Italian Ladino music, New Orleans jazz, and other musics and is to be played from 9 to 12,000 feet above sea level. Douglas has also started a new band called Keystone, which performs works influenced by the silent film actor and director Roscoe 'Fatty' Arbuckle. The project includes pieces to be performed with Arbuckle's films. This ensemble is made up of trumpet, tenor sax, Wurlitzer (electric piano), turntables, electric bass, and drums. A CD of this music – accompanied by a DVD with two Arbuckle shorts – was released in 2005. In late 2007 'Moonshine', a further recording by Keystone was released. This was based upon recordings made of a live concert performance by the band at that year's Bray Jazz Festival in Ireland. His latest CD is Meaning and Mystery, where he plays again with his quintet, now with Donny McCaslin in place of Chris Potter on saxophones. In December 2006, Greenleaf Music recorded all the quintet's performances over a six-night engagement at the Jazz Standard club in New York, making the two hour-long sets the band played each night available for download from the company's website within 24 hours. The 44 compositions, almost all of them by Douglas alongside covers of Rufus Wainwright, Mary J. Blige and Bjork, featured 14 tunes not previously recorded by the band. Read more on Last.fm. User-contributed text is available under the Creative Commons By-SA License; additional terms may apply.